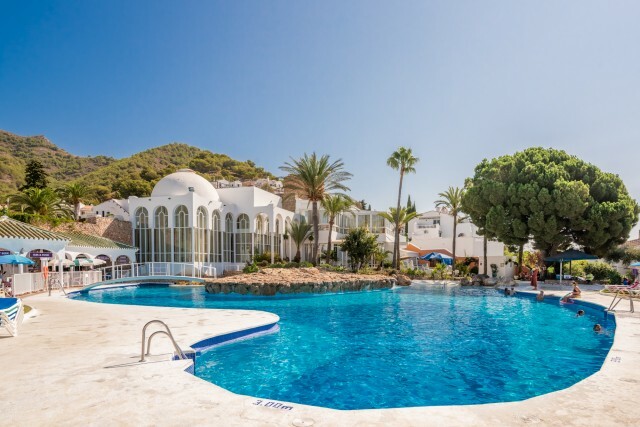 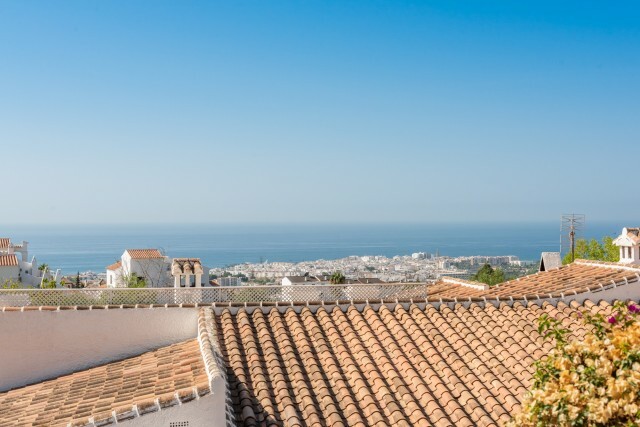 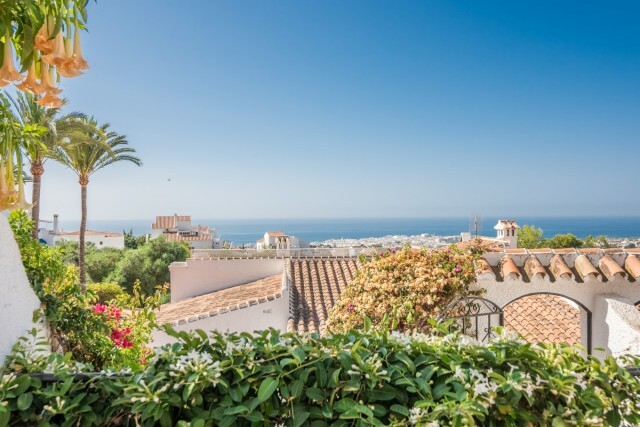 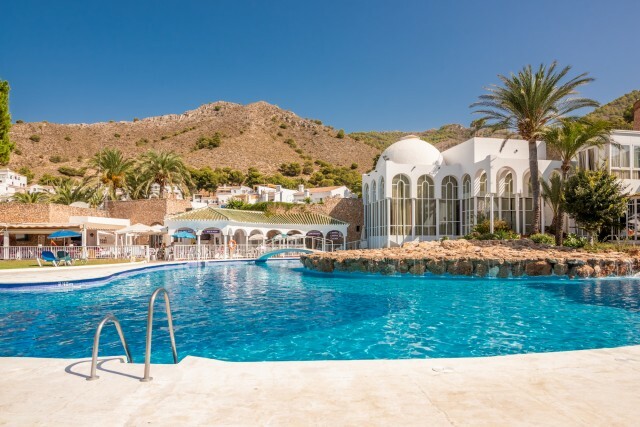 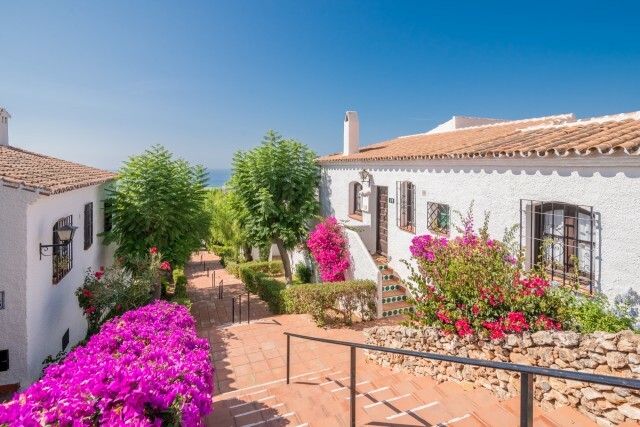 San Juan de Capistrano is a popular and very pretty urbanisation on the outskirts of Nerja. 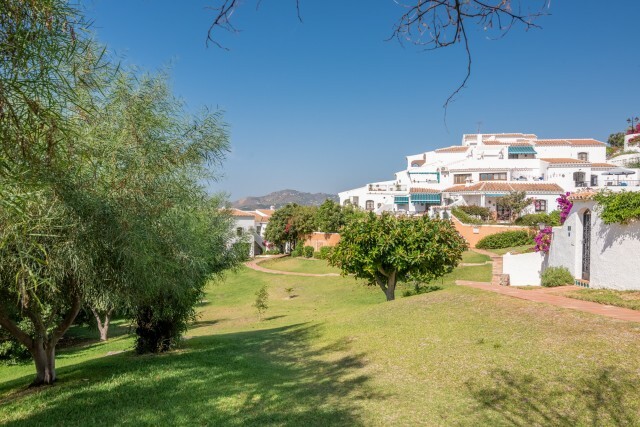 The urbanisation has well maintained and preatty gardens and a large communal pool. 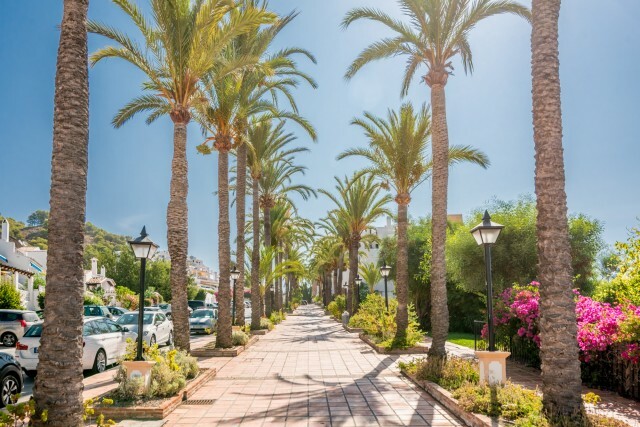 Within the urbanization, there is a small supermarket and several restaurants. 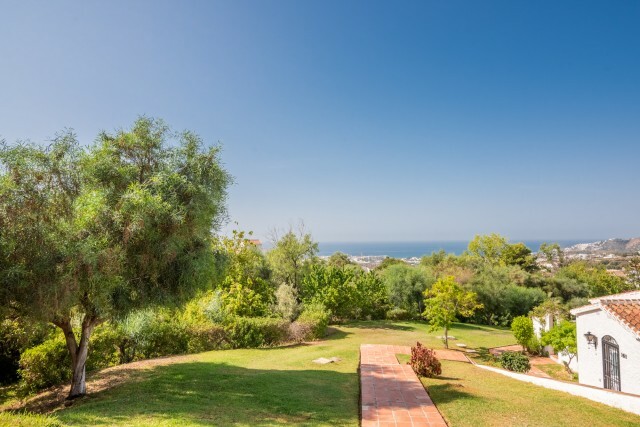 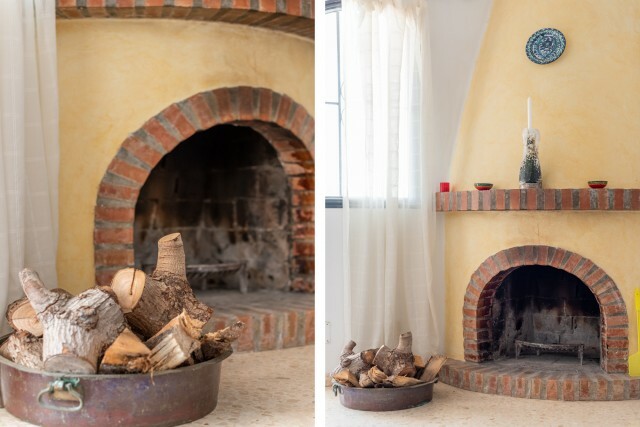 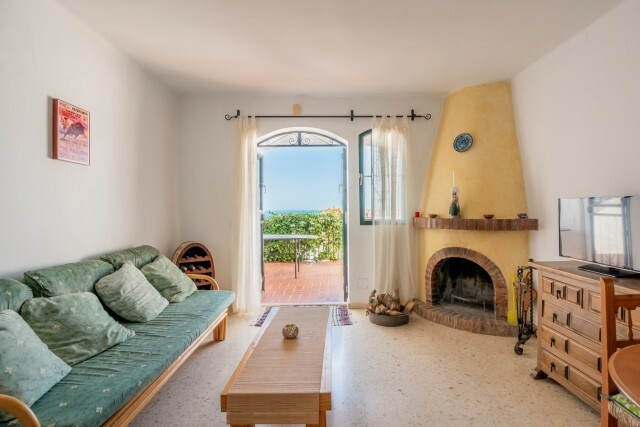 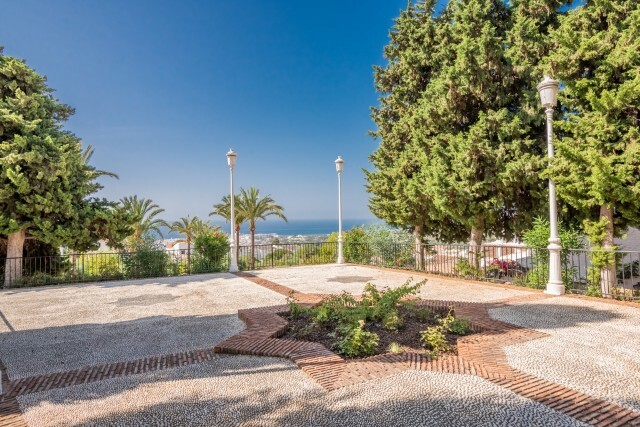 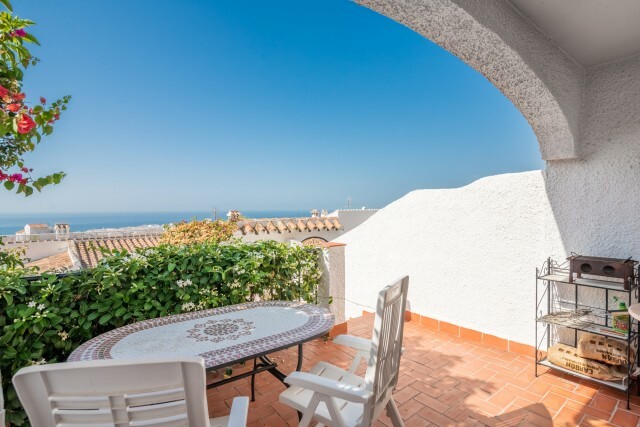 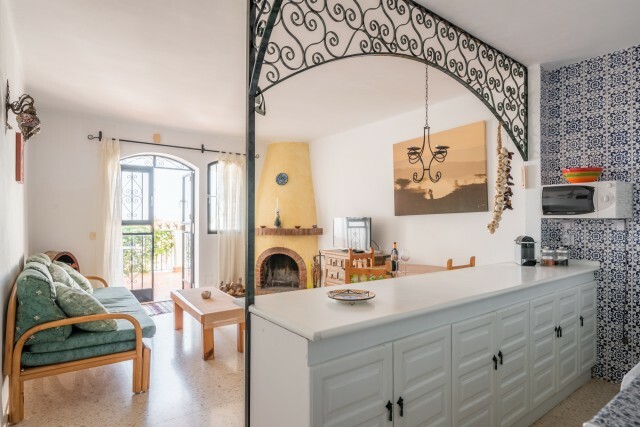 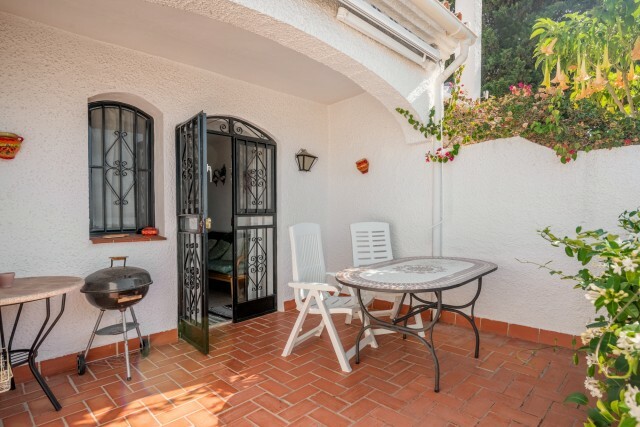 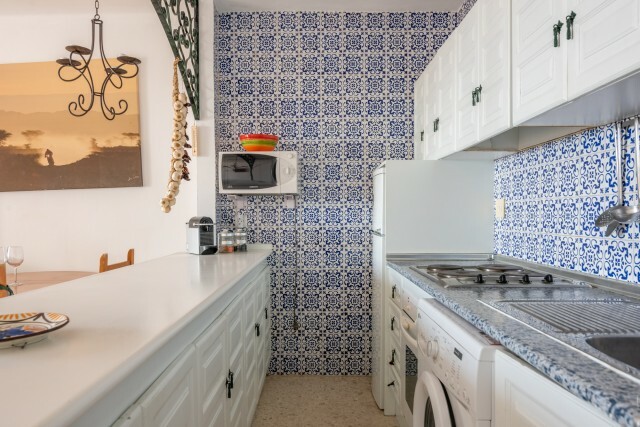 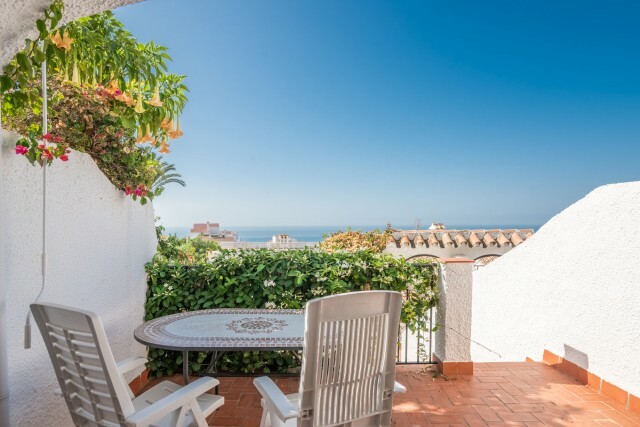 The apartment is accessed via some steps from the urbanization road and has a small garden with storage room and a sunny, south facing terrace with views of the urbanisation and the sea in the distance. 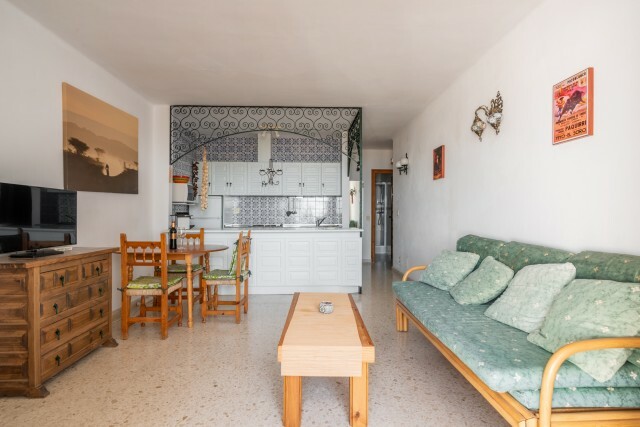 The apartment could benefit some updating but can also be used for holidays in its current condition. 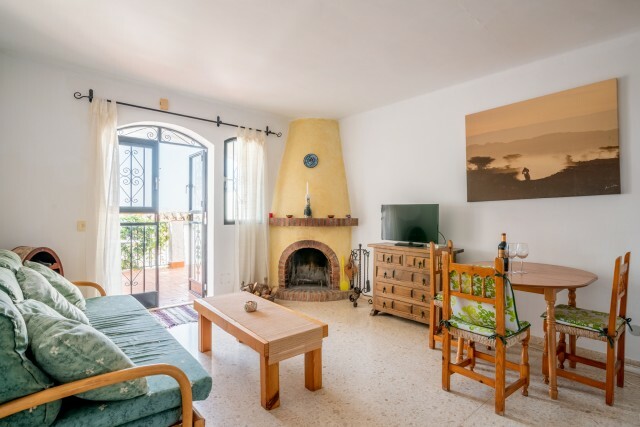 The accommodation comprises an open plan livingroom with fire place and kitchen with breakfast bar. 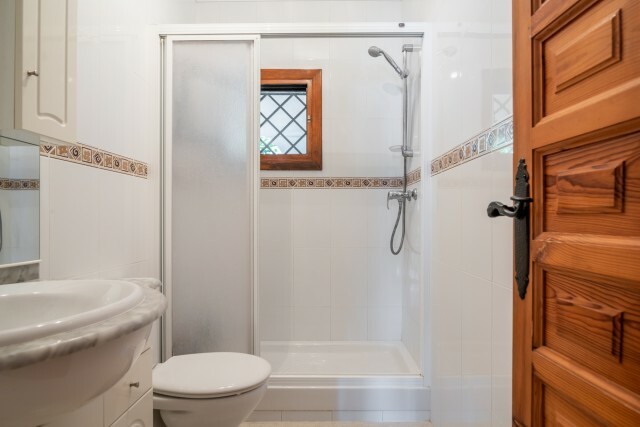 There are two good sized bedrooms and a family bathroom. 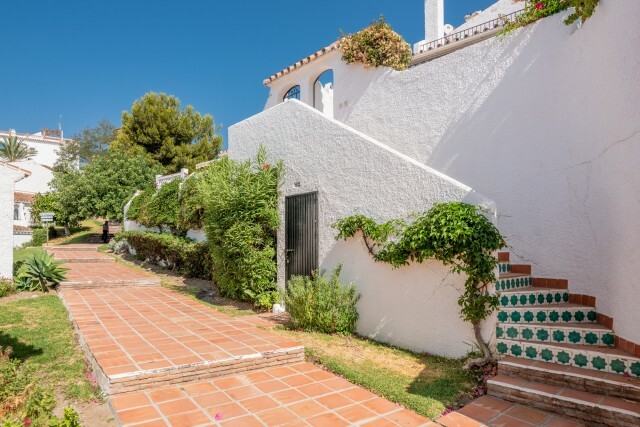 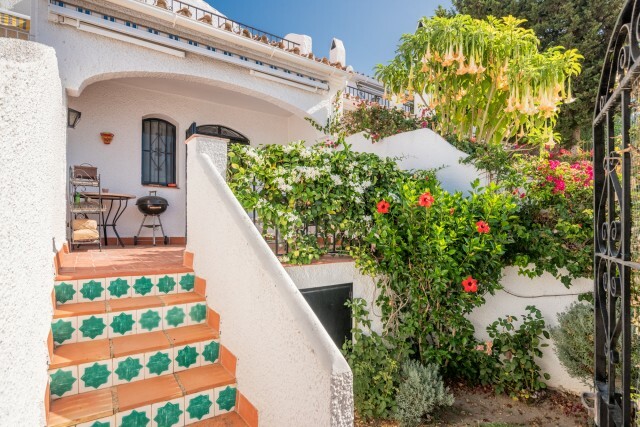 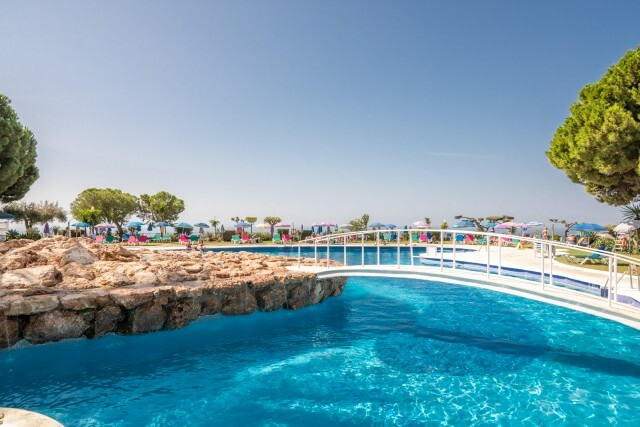 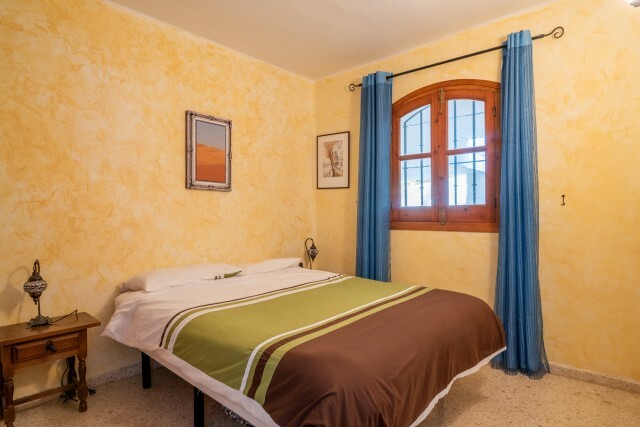 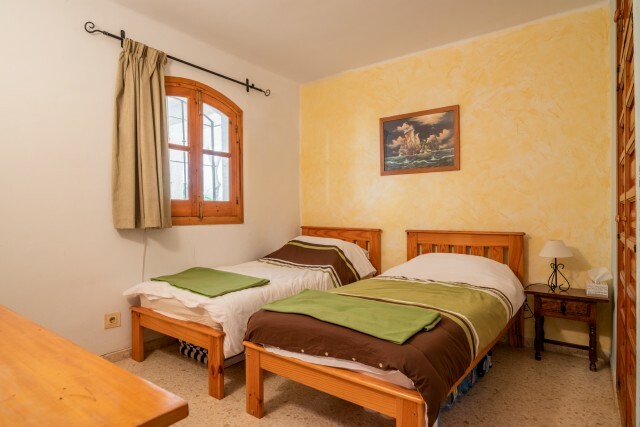 The owner also has a garage nearby, that is available at an extra prize of 15.000 euros.